Sometimes, I buy products for the packaging. I'm not talking about pretty pictures or a great looking box. I mean, I buy things because I want the container. Looks don't matter, as much as the functionality of the container. 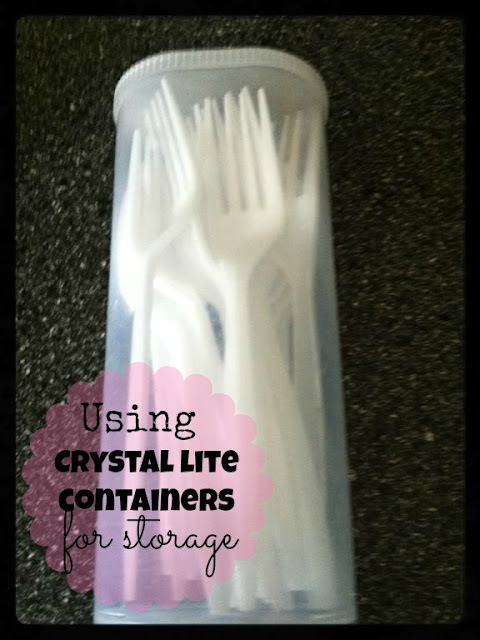 Lately, my obsession as been with Crystal Light plastic containers. The coupons have been in my favor, so I'm not spending a small fortune collecting these. In fact, an upcoming sale I'll be getting two containers for 40 cents! Notice I said containers...because that's all I really want. The powder packs are just bonus. Maybe I need to show you why I love these things so much? No more digging around for the birthday candles. Measuring spoons fit nicely, too. Happiest of all, I don't have to keep buying corn skewers every time we have corn on the cob. I swear...those things are the socks of the kitchen. One is always missing. Outside the kitchen, they are perfect for carrying crayons for toddlers, snacks, makeup brushes...the possibilities are endless! I have a good friend who has color-coded all of her son's legos in crystal light cans-- I love it! But I despise crystal light. Now, I do buy lunch meat in the gladware because that's free plastic Tupperware, yo! This looks really organized! Love the reuse of the containers! They are also great for packing stuff for camping/backpacking. And nails and stuff at the work bench. And rock collections. Oh, and, ironically, Dh keeps seed crystals in Crystal Light containers. Really, the possibilities are endless. Back when they were round, I made my little girls banks, with scrapbook paper and mod podge. 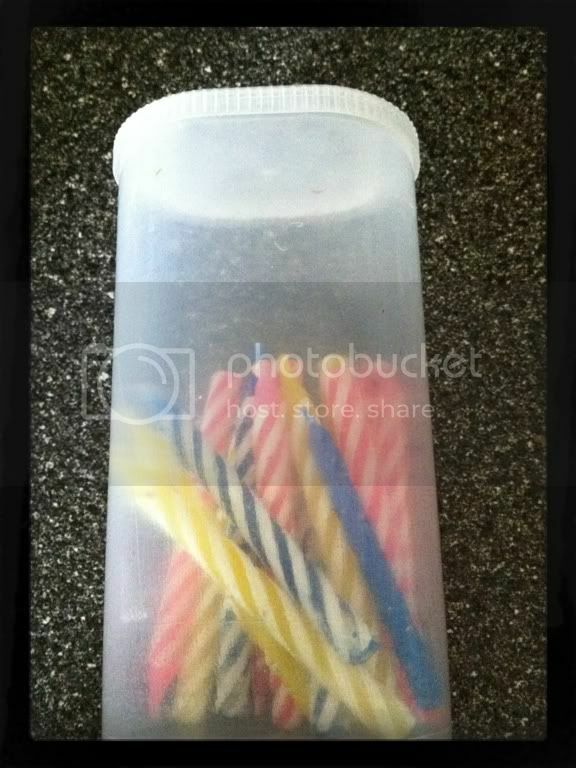 We have at least a 100 of these containers, I have used them to organize sewing supplies (needles, buttons, elastic, etc) my husband uses them in the garage for nails, screws, washer, etc. They are easy to label but also easy to see through. You know? I am just like you.. But not sometimes, in my case is ALL THE TIME, I buy things only for the container or package, anything that has a beautiful container for me, and its functional as well, I buy it, and perhaps I end up giving away what it's inside if it is of no use, just to keep the container. I understand you fully and support you, what you have organized with the containers is very clever, very good idea, its nice to read this post. I use these all over the house! Love them! Well, it's like you read my mind! I know these are useful for something! There you have it-- a truckload of ideas. The sky is the limit-- I just need to start filling them up! so glad I'm not the only one, that holds onto things because I just know they are useful for something. I cut a U shaped hole off center in the lid and keep a toothbrush and small tube of toothpaste in it for travel so when I am in a hotel I don't lay my brush on a questionably cleaned counter it has its own cup. (the U shaped slit is for the handle to stick out of and the little flap holds it firm) I have one at home with a toothbrush for my grandson's spur-of-the-moment sleep-overs. I set many of the containers in a wooden box for a paintbrush and tool organizer in my art studio. I glued a small pincushion to the inside of the lid of the Crystal Light container. By adding a few pins and needles to the pincushion, a spool of thread, a small pair of sissors and a thimble you make your own custom sewing kit. You can put one in the car, take one on trips, give one to a college student for quick repairs, etc. I have one I use for a hexigon quilt I am making. It is easy to add to my tote bag and I can put a few hexies inside to work on when I have a few minutes. Love these. I have a set that holds my salad and yogurt toppings - easy to set up a fix-it-yourself station. Slivered almonds, craisins, mini choc chips, etc. Have one in each car stuffed with plastic grocery bags, just in case. Now I'm going to do the sewing kit idea above! Great ideas! I have used these for my scrapbooking supplies. I put cat eye inks in one, brads in another, gems in another, all odds and ends that I don't want to get crushed. So many possibilities! Great ideas! We go through about a container of Crystal Light a week. I'll have to start saving the containers now. Thanks! I love these things, I make them shorter and put bobby pins in one, little plastic hair bands in another, and I cut a slit on the lid of another to put in all the box top coupons for my kids' school. I love keeping the hair supplies in these cause you can keep them covered and just toss them in your bag while you're traveling. 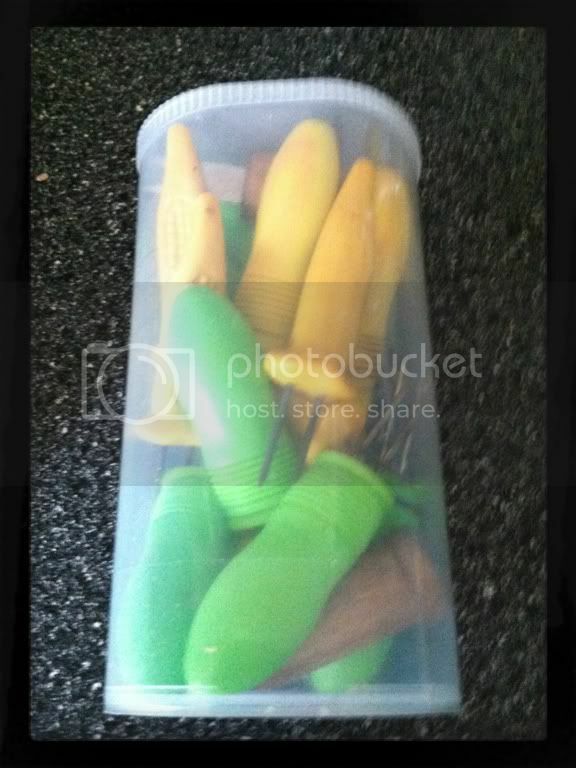 I have used them for snackin's when I take my lunch to work, or for when I am traveling. I have filled them with nuts, dry cereal, homemade trail mix, pretzels, etc., and I also like the fact that the container keeps my snack from getting crushed. glad to hear I am not the only one that buys things for the packaging! What an AWESOME idea. 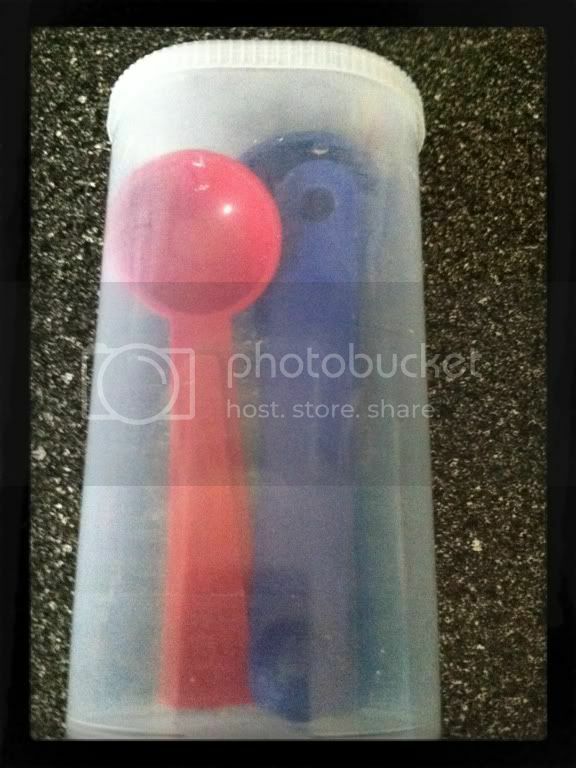 I was searching the net for a plastic travel container for plastic silverware I take to work in my bag so it wouldn't get tossed around and broken. (I am cheap and wash my plastic silverware and reuse it)I just had it in a plastic ziplock bag but my fork tines kept getting broken. I tried several other containers I had but all were too short. This is the solution for ME! Also I work at a prison and we have to have "see through" bags and containers so the crystal light container is another plus! I know my girlfriend LOVES the stuff. I will have to hit her up for some containers! Thanks for the frugal/practical idea! I drive my husband nuts because I am always saving odd little containers/bottles wondering what I can use them for. LOL! We use them for treasure boxes, great for the youngsters to collect "stuff" outdoors.